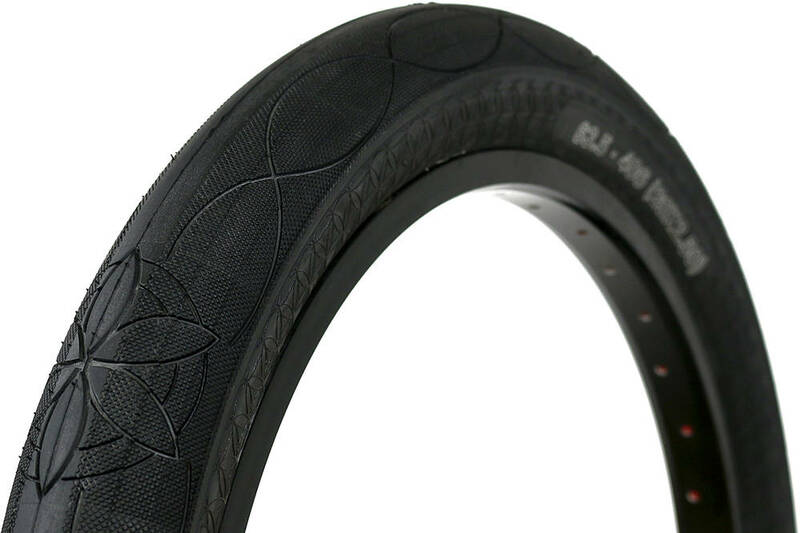 The Alex Kennedy tire from Cult features a micro knurled tread pattern with Alex' signature flower logo which provides additional grip. The tire is ultra wide and comes with high pressure sidewalls and a smooth centerline for minimal rolling resistance. Note: Due to the extreme width of the tire it may not fit all bikes. Make sure to check the clearance on your fork and frame.